Heat oil in kadai for deep frying. Take one bowl, mix besan, turmeric powder, red chilly powder, salt, ajwain and mix well. Add required water and make pouring consistency batter. Add soda and 2 tablespoon hot oil into batter and mix well. 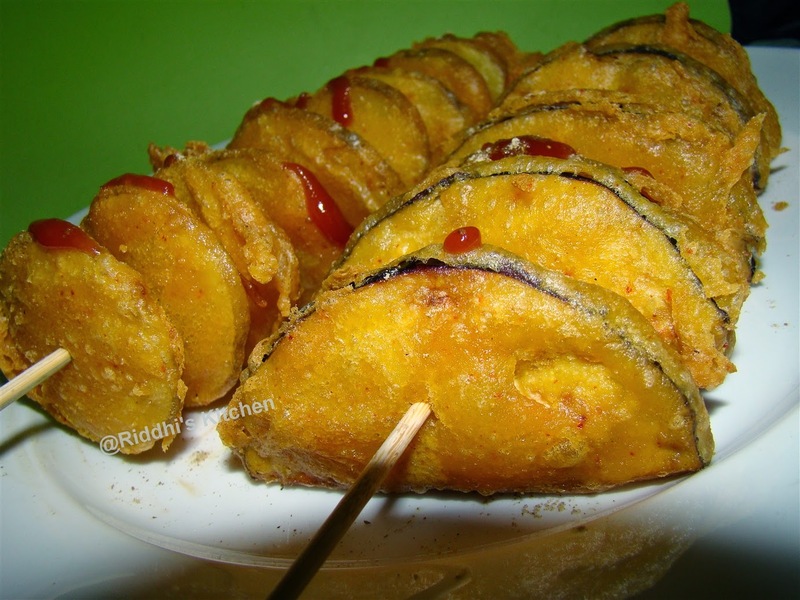 Take one slice of potato, deep into batter and deep fry till golden brown both side. Do same procedure with all remaining potatoes slices and brinjal. Sprinkle chat masala and Serve hot with tomato catch up.